One of the biggest challenges for any email marketing campaign is to actually get the receivers to open your email. 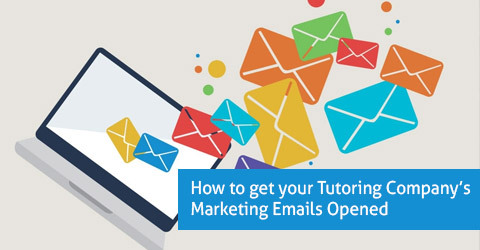 We want to supply you with a few tips on how to increase the odds your e-mails will be opened. It also happens to be the best way to get your direct mail opened… the best way to get your partner and kids to listen to you… and the best way to get someone interested in you, romantically. The best way to get your e-mail opened, and the best way to make people listen to you and command their attention… is to make them curious. Curiosity is one of those emotions that commands virtually IMMEDIATE attention. “Open loops” are those things that create some kind of emotional disturb or disconnect, that stays open until you “close” it. It’s like when your child is injured or in pain. Until they are taken care of, it’s an open loop for you, psychologically, and emotionally. Curiosity is the same thing – and the more intense the curiosity, the deeper and more troubling, the open loop becomes. See, one gives you information, and the other one creates curiosity ABOUT information. This isn’t bad, but what what happens when you increase the curiosity? You can almost “feel” the urge to dig into this information. So keep this in mind next time you’re trying to get attention. What ideas do you have now? How about this bonus list of curiosity words that you can use in your own Tutoring Company marketing. Now create your masterpiece of curiosity and see how many more emails open up for you!